Innovative ideas for making kids love vegetables. During the preschool age of a child, it is very hard for them to develop a likeness for the vegetables. During these years of their age, they are hardly aware of their hunger and even if they are, they will be mostly busy exploring new things, paying no attention towards their diet. When they return home after a long time, they wish to eat things which they consider as tasty keeping the health factor aside. At this time of their age it is the responsibility of the mother to make them have those vegetables or healthy food some way or the other. 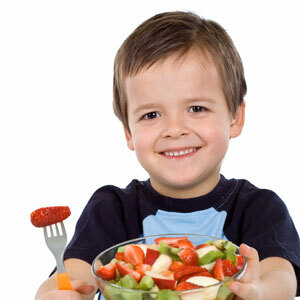 The main aim of yours is to inculcate the proper eating habits in the child during his early childhood. One should never be imposing any sort of eating habits in their child. The best way is to let them get in to a habit of eating a certain recipe which is substantial enough for his/her meal. It is your responsibility to find out the recipes which he does not feel repulsive to. Then make him fall into a habit of having it regularly. It can be done by means of cooking soups or offering vegetables, in form salads with their food. On the smarter side what one can do is that he/she can prepares the favorite item of their child and invoke the enthusiasm in them to eat something that is not as tasty according to them but is healthy at the same time. Make the child learn that vegetables are a very important part of any meal. You will find that in the coming years that the child has very well learned the fact and has brought this thing into his habit. Then you can also adopt the smarter ways to include the vegetables into your Childs diet. You can use the vegetables like carrot, onions or peppers with their pastas and the noodles to make them taste good as well as healthier. You will find that your child cannot stop himself from having it and overpower his hunger. A lot of children love to have raw vegetables like carrot and cucumber. The idea is to keep them washed and properly cut and prepared in your refrigerator for your child to have it in case if they ever feel hungry at home. One can also try and keep them dipped or to be dipped with hummus, which makes the vegetables tastier to eat. This might be helpful in case of children?. Try new shapes, colors and decorations in your recipe as it increases the curiosity of your child to have the food. This is always right if we talk about vegetables. Children are of very observing nature. So be smart and disguise them with tasty looking healthy recipes.